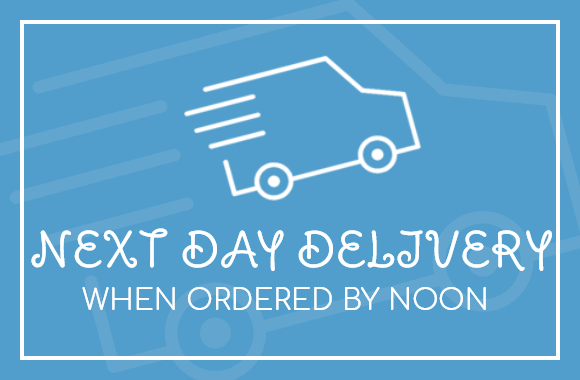 Delivery is charged at no more than £24 per order depending on weight (UK mainland) for everything except plaster. Plaster will cost no more than £52 (UK Mainland) also dependant on weight. If you're just buying a few tools, however, then delivery can be as little as £3.95. Just put your items in the cart to see what delivery charge will be before you pay. Orders received before noon will be processed and despatched the same day - if we have everything in stock of course. You should then receive your goods the next day. You also can specify a particular day you would like the goods. I already have a credit account with you - can I still order online? Of course. When it comes to checkout, put "Telephone" as means of payment. If you are a recognised customer who has an agreed credit account with us then your goods will be dispatched and an invoice will be sent for payment as per our terms. Can you deliver to site rather than my workshop? Of course. We can deliver anywhere, nationwide. I have a great deal with my existing supplier - can you beat their prices? Do you have any technical backup? Yes. I have been a supplier to the fibrous plaster trade for over 22 years now (I used to be the General Manager of C & B Services) and have a wealth of experience. If I can't solve any technical issues then we have a full technical backup from Lafarge Prestia (now called Siniat) and all our other suppliers. We are open Monday to Friday 8.30am until 4.15pm. Of course you can buy from this website 24hours a day. You are more than welcome to come to our workshop and purchase goods. See our address below..
We accept all major debit and credit cards via Worldpay, Klarna, secureform and Paypal. You can also send us a cheque or by cash if you come and visit us. You can also pay by bank transfer (BACS). Are prices on this website different to those in your price list? No. All the prices are the same, except in the case of plasters. Due to the limitations of the software this site uses we have had to include some of the carriage charge in the item price for small quantities. The price per bag would work out the same if you purchased over the phone, and then paid for delivery. We will send you an application to fill in if you require an account. All accounts are strictly Nett 30 Days. Isn't every supplier the same? What can you offer that is different? I care about this industry. I'm not here to make a quick buck. For example, if one of my competitors went bust I would not put up my prices overnight and upset the whole trade, and would not follow suit if others did. I believe that good service, good prices and good products will all help keep the fibrous plasterer happy!